Press Release:– The lack of accessible affordable housing in Saint Lucia led to the death of Tafari Charlemagne. He was a talented young leader from the La Clery CDC community; he met his premature death, while trying to achieve a basic human need, shelter. Tafari Charlemagne grew up in the derelict La Clery CDC buildings. 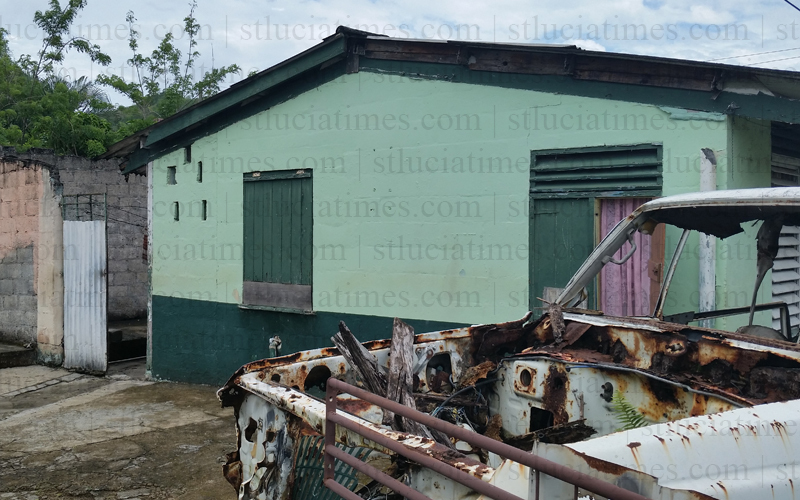 The Ministry of Housing, Urban Renewal and Telecommunication wants to bulldoze the remaining structures, if the community stays idle. By the time he was born, the housing stock in the community, may have well been past there best days and in need of urgent regeneration. Nevertheless, the young Tafari made use of the adjacent playing field, as he grew up, to hone in on his footballing skills. 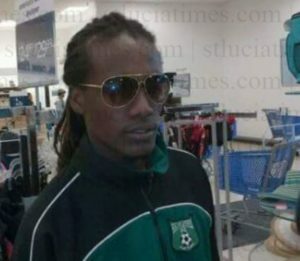 This led to him becoming a leader in his own right, the captain of this local club and a called up for “national service” with the Saint Lucia national football team. Frequently we say, “We live in a dead hero society”. Perhaps this is because leadership defined as “finding a way out of no way” by the American civil rights leader Andrew Young, is too daunting for most of us. Thus, we have developed a tendency to allow individuals who seek the paths out of “no way” to wither and die; only to cheer their ambition, courage and determination after their death. However, death has a strange way of giving birth to “hope”. In the wake of Tafari Charlemagne’s demise, the community, shocked by the circumstances of his death, is finding new courage. On Saturday, 12 May 2018, a group of around 20, residents, neighbours, former residents and community members met to take on the challenge of regenerating their community. Their cry “idle no more”. In that battle cry, they express the view that the time has come to pursue a social justice agenda for improved access to housing, healthcare and community development, in a collaborative and empowering manner. In pursuit of their objectives, the community will be creating Saint Lucia’s first community housing association, the Tafari Charlemagne Community Housing Association. Housing associations are community led, non-profit organizations that provide low-cost “social housing” for people in need of a home. Any trading surplus is used to maintain existing housing and help finance new homes. They can be developed into major providers of new housing for rent and run shared ownership schemes to help people who cannot afford to buy a home outright. Housing associations can also use their local knowledge and collective resources to support social enterprises involved in activities like crime prevention, poverty eradication, gender equality, sustainable livelihoods and urban renewal. Clearly, residents of the La Clery CDC Community formed the Tafari Charlemagne Community Housing Association to turn a challenge into an opportunity for community empowerment. An attempt to find innovative approaches that can help overcome the leadership challenge of finding “a way out of no way”. By leading this challenge, the residents are signaling to other stakeholders, the Ministry of Housing and Urban Renewal and Telecommunication, the National Housing Corporation, the political parties and all Saint Lucians that they are “idle no more”. They can no long watch our young talents die as they struggle to access basic human needs, opportunities to work, housing, healthcare and safer communities.